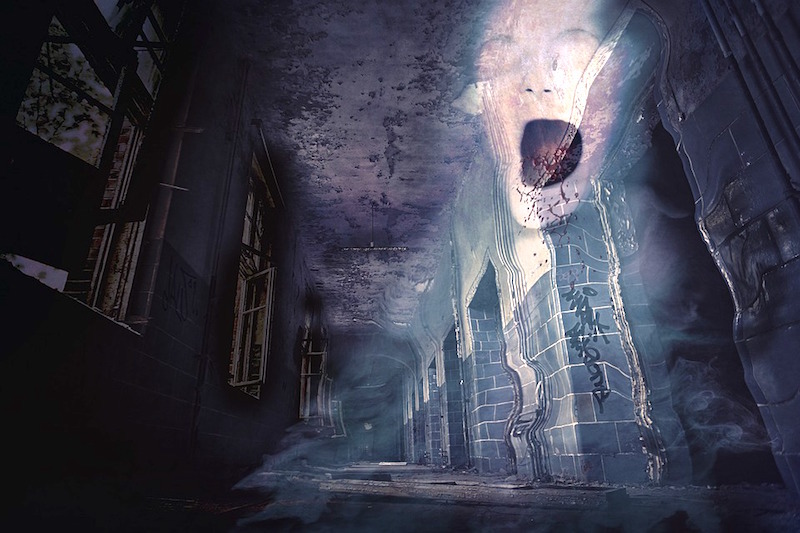 The most haunted places in America are hard to narrow down, as thanks to a bloody ‘wild west’ past comprised of settlers, massacres, and Civil War, America has a plethora of haunted places to visit and explore. For some locations, like the Tombigbee River or the Brown Mountains, an astounding natural mlandscape hides bizarre supernatural phenomena. Others, like the Lizzie Borden House or the Dead Women Crossing, were the sight of intimate family tragedies that have become the stuff of legend thanks to ghosts of the past that supposedly continue to live out their anguish. 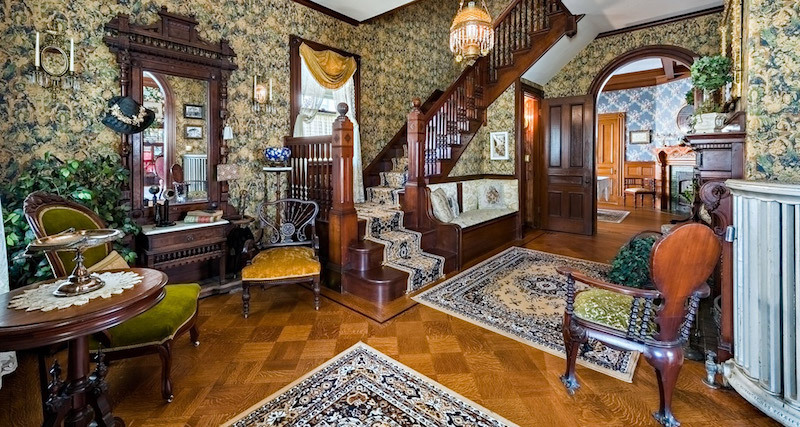 Home of Sarah Winchester, heiress to the Winchester Repeating Arms Company fortune, the popular story behind the Winchester ‘mystery house’ is that it was built to appease the spirits that Sarah believed were cursing her. 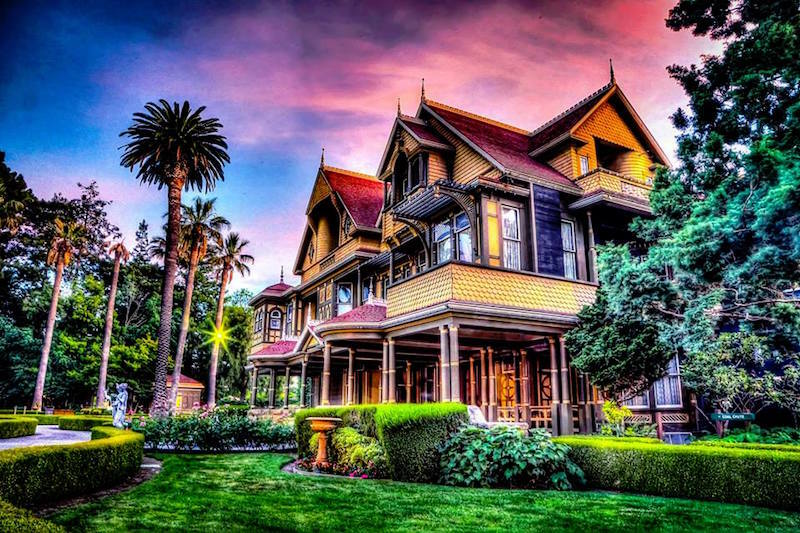 Supposedly, after her husband and baby died tragically from disease, a psychic told Sarah that it was the spirits of all those killed by the Winchester Rifle making her life a misery and that she must move to California and build a mansion as penance. The house was continually under construction from 1884 until Sarah’s death in 1922 and contains stairs to nowhere and doors that open onto 15foot drops. Today the house serves as a visitor attraction for ghost spotters with staff and guests attesting to feeling strange presences throughout the property. In 1892 husband and wife Andrew and Abby Borden were discovered murdered in their home, having been brutally hacked about the head with an ax. Andrew Borden’s daughter Lizzie quickly fell under suspicion and her subsequent trial and acquittal (due to circumstantial evidence) became an infamous chapter of American history popularised with its own children’s rhyme. The Lizzie Borden House at Falls River is currently run as a B&B where guests can attempt to last a night in the supposedly haunted murder room. The spooks reportedly enjoy ripping the covers off guests as they sleep, whispering in the attic and cellar, and creating cold spots. ‘Dead Women Crossing,’ in Deer Creek takes its macabre name from a 1905 unsolved murder case and subsequent years of paranormal activity. Young mother Katie DeWitt James filed for divorce and was thought to have taken her baby on a trip to visit relatives. 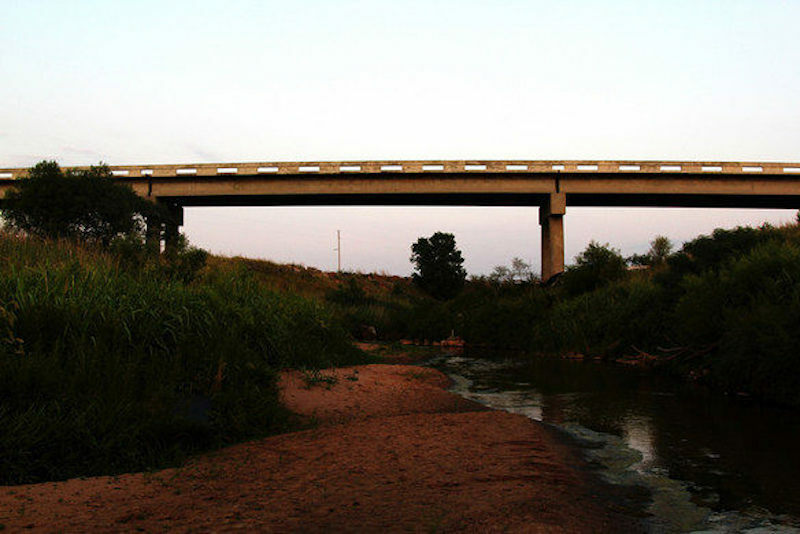 When she was not heard from an investigation was launched and Katie’s body was discovered in a field near where the concrete bridge, known as Dead Women Crossing, now stands. It was thought the poor woman was tricked and murdered by a local prostitute named Fannie Norton in order to steal the baby (who survived) to give to Katie’s estranged husband. Katie is said to wander the bridge crying for her stolen baby to this day. Luxury ocean liner the RMS Queen Mary sailed the Atlantic from 1936-67 when the ship was permanently moored in Long Beach and converted into a hotel and museum. Many different legends have sprung up about hauntings on the QM since her retirement, and it is now well known as one of the most haunted places in America. A woman in white supposedly performs a ghostly dance in one of the luxury suites and a sailor crushed by the ships heavy metal doors in the 60’s wonders around below deck. Guests also claim to have seen two children who drowned in the ship’s pool wondering the deck in 1930’s clothing. Critics believe that much of the supposed paranormal activity can be put down to the ships unique acoustics. 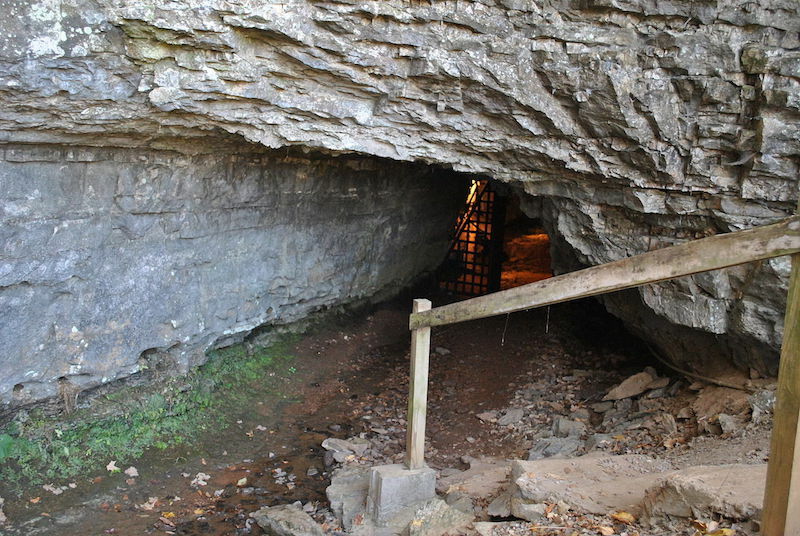 The Bell Witch Cave and farm are said to be haunted by Tennessee witch Kate Batts who tormented the Bell family from 1817. James Bell was a wealthy farmer, Deacon and respected member of the community. He and his family saw strange animals on their land, hearing voices, knocking, gnawing and chains rattling throughout their house and the cave. Allegedly, many members of the town witnessed the phenomena and a voice, claiming to be local woman Kate Batts, making a number of demands including the death of James Bell, who eventually did die of torment. Today the Cave is a tourist attraction offering tours and a chance to witness some of the spooky occurrences that still regularly afflict the town of Adams. The Tombigbee River is a tributary crossing the states of Mississippi and Alabama and is said to be haunted by the ghost ship Eliza Battle. In 1858 the Tombigbee River Steamboat was destroyed by a horrendous fire caused by strong winds and a cargo of cotton bales. 33 people were drowned near to Pennington. Over the years there have been many reports from locals who claim to have seen the ghost of the Eliza Battle drifting fully ablaze down the same stretch of river where the tragedy unfolded. River goers have also reported hearing mysterious cries from the water and the sound of old-fashioned music blowing in on the wind. 7 The Octagon House – Washington D.C.
An outside view at the front of Octagon House in Washington, D.C. 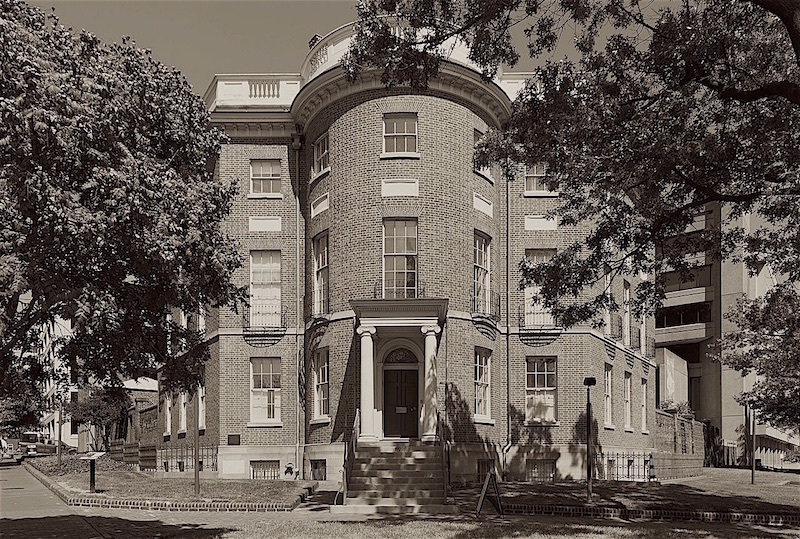 The unusually designed Octagon House, built by Colonel John Tayloe III in 1801, is haunted by many spirits. The hauntings seem to have begun after the Colonel’s death, with his granddaughter Virginia Taylor Lewis writing in the mid-1800’s that the servant’s bells would continually ring throughout the house and could not be stopped even when the lines were cut. Legend has it the bells were rung by dead slaves but skeptics think rats in the walls were a more likely cause. The house is now a museum but staff claim to have seen lights flickering and doors slamming. Other spirits witnessed by staff and visitors include a British soldier, a murdered gambler, and First Lady Dolly Madison who leaves the scent of lilacs. Running along the Potomac River from Washington D.C. to Cumberland the lonely towpaths of the C&O Canal are perfect for exploring the Ghosts of America’s illustrious past. 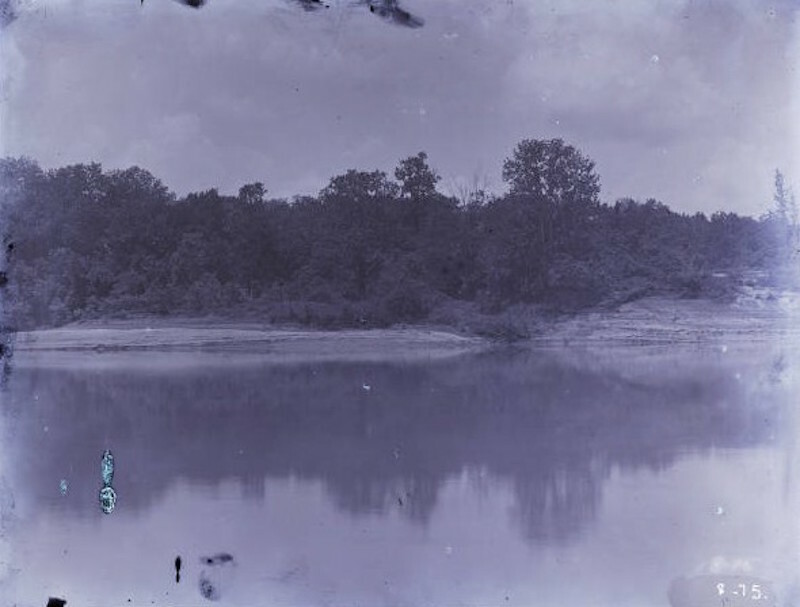 As well as the spirit of an Indian chief allegedly spotted near Big Pool, some of the many purported sightings include the ghosts of drowned sailors, killed when their ship capsized heading to the Battle of Ball’s Bluff, that wander around ‘haunted house bend’ on dark nights. 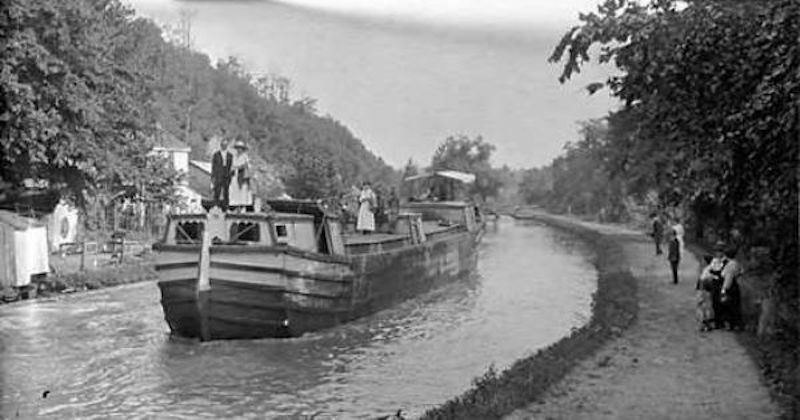 Or if you fancy fining the canals ‘lost treasure’ all you need to do is follow a supernatural robber carrying a lantern across the Monocacy Aqueduct who according to local legend sometimes appears on moonless nights. 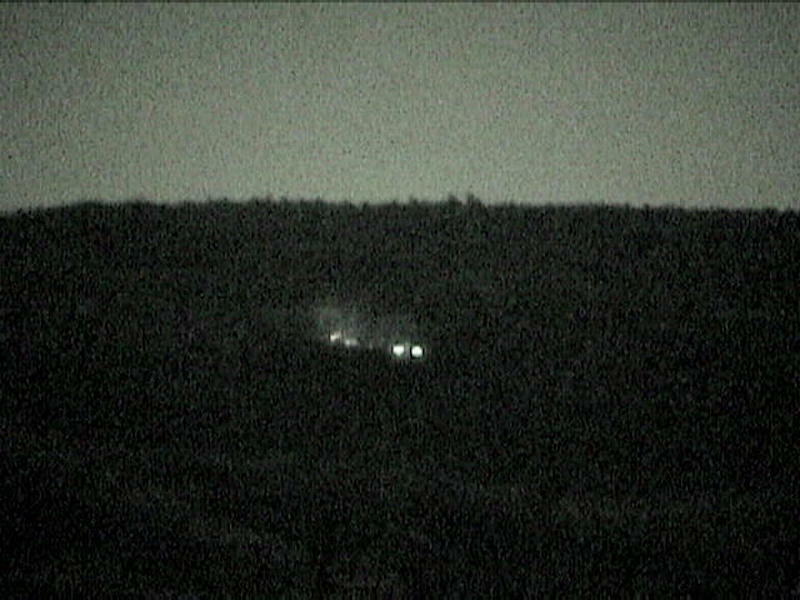 From various vantage points overlooking the Brown Mountain in North Carolina, mysterious lights known as the ‘Brown Mountain Lights’ can be seen regularly. First spotted in roughly 1913, these strange red lights, which many locals believe to be supernatural in nature, have been witnessed in skies over the mountain until the present day. The US Geological Survey investigated the phenomena in the 1920’s and suggested that the lights could be caused by natural gas, car headlamps, or passing trains but many remain unconvinced by those explanations. 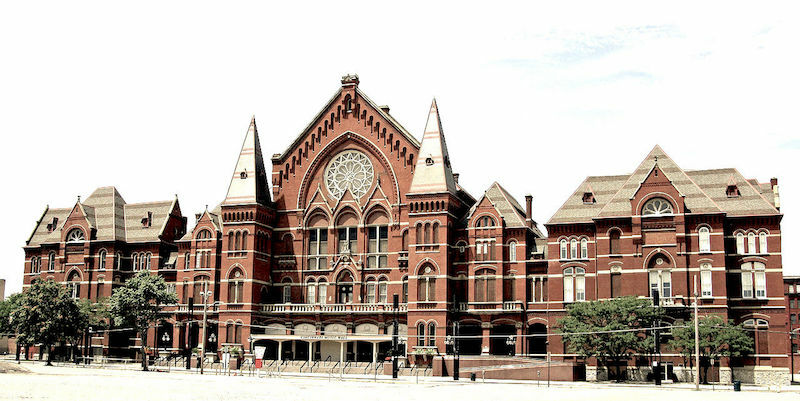 Built in 1878, the architectural wonder that is the Cincinnati Music Hall holds more than its fair share of spirits. According to local news reports, the haunting began during the building’s construction in 1876. Work on the elevators allegedly uncovered bones from an old pauper’s cemetery, awakening its occupants from their eternal slumber. The spooks are said to particularly enjoy bothering the box office staff allegedly ringing their call buttons, whispering, playing music and tugging on clothing. Are there any other places you’d add to our list of the most haunted places in America? Let us know in the comments below.